I was going to do “15 Things I Learned in Munich” as I did with Paris, but after Oktoberfest and too much fun here I could only manage to come up with 10. So here you go! 1. “Summer of 69” is to Germans what “Don’t Stop Believing” is to Americans. Apparently, Bryan Adams is hot stuff here. 2. At Oktoberfest you will lose something including but not limited to: money, people, articles of clothing, years off your life and your dignity. 3. 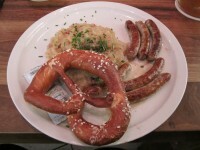 Portion sizes mean something different in Munich. For example, a liter is just your normal size beer. 5. Bring clothes that can grow with you, as you are going to gain weight from your regular diet of beer and brats. 6. German soap operas are a good way to pass the time while recovering from a hangover. If you don’t know what they are saying, making up your own translations can prove to be very entertaining. 7. Pam Anderson should move to Munich and rekindle her career. Photos of her can be found all over the city. 8. Germans think Americans cannot drink beer. They aren’t very impressed by Bud Light. 9. In many places you are expected to pay to use the restroom. This can get costly when you are drinking liters of beer. 10. The song “Alice, Who the F#%* Is Alice” needs to make its way to the United States. 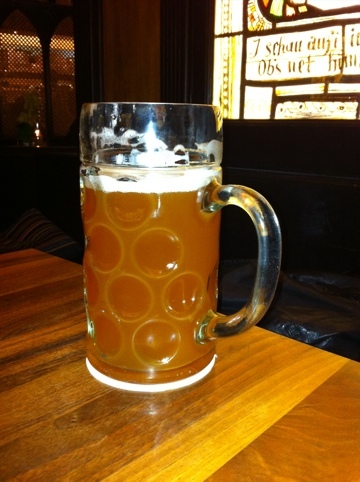 Instant Grativacation » I am going back…to Oktoberfest!